Here are some ideas and tips on the various types of exterior siding. I have installed hundreds if not thousands of squares of the siding products below and would like to describe the differences in each of the types of siding. I listed the products in order of cost with vinyl typically being the cheaper of the products. I have a couple of issues with the exterior contracting industry as a whole most notably the lifetime warranty on products. A warranty is only as good in my opinion as long as a company or manufacturer has been in business and one should make a decision based on these warranties but if they are following industry guidelines on installation, and have independent track record of responding to warranty claims from independent consumer sites. Also many companies will advertise a thin vinyl siding at a very low price limited to certain amount of square feet which after arriving is not applicable to your home. I also would caution homeowners from high pressure sales companies that will drop their pricing sometimes by half as they walk out the door with all sorts of gimmicks (first home on the block, manager deal). They didn’t cut any pricing they simply operate on a par system where the salesman is allowed to keep certain percentage of the sale over the allowed cost. At Foster Remodeling Solutions I can truly educate and advise on best products from range of manufacturers with outstanding service and installation with standard fair pricing. Vinyl Siding is the most commonly used siding by remodeling companies mainly due to the ease of application for the installers and cost of the material. Vinyl Siding has had some major improvements over the past few years most notably the ability to have darker color shades that will not fade or chalk and more secure fastening which provides for less ability for the wind to peel panels off the building. Vinyl siding cost is directly tied to the thickness of the panel which is measured in thousandths of thickness. The thicker the panel the more expensive the panel, this is critical in knowing when shopping for vinyl siding and being able to accurately compare costs. The typical builders grade panel starts at .040 thickness and panels generally range up to .050 thickness with most remodelers using a .044 to .046 panel. A thicker panel is more rigid and less likely to warp, bubble or blow off. Another key component of a properly installed siding job is preparation for the siding, removal of rotten wood is critical before installation, door and window trim is also another component that needs to be factored in before siding so that the profile remains the same as before. A proper house wrap such as Tyvec is needed since vinyl siding does not completely prevent water penetration (it has weep holes on bottom to allow water to escape). If new windows are installed taping of the window flanges and seams in the Tyvec is also recommended. Another option for wrapping the house is ¼” foam board that allows the siding to have smooth surface if substrate has slight uneven surface and provides some nominal insulation value. Another option that I prefer as former installer is the siding panels with the insulation applied directly to the back of the panel, which makes the panel very rigid with no warping and provides and good amount of R values of 2.0 to 3.5 depending on the panel selected. These panels also provide a noise dampening effect as well. Fiber Cement Board is another commonly used siding product. Most people recognize Hardie Plank as most visible manufacturer of this product but there are several others. The advantage of fiber cement board is its durability and rigidity. Fiber cement board is nailed tightly to the existing house plywood which prevents any chance of panels blowing off which can occur with vinyl siding applications. Fiber Cement siding should be installed over an existing siding creating a moisture trap. Fiber Cement boards also more closely resemble wood products which is architecturally more pleasing and some HOA’s will allow this product in lieu of wood creating less maintenance for the homeowner. This product is routinely used in coastal applications due to its ability to withstand high winds. Hardie Board also has factory applied colors with 15 year color warranty and 50 year limited warranty on the product itself. Hardie can also come unfinished and can be painted to match any color if the pre finished color options are not a match for your needs. The cost to install Fiber cement panels is a bit more and typically costs 50 percent more than vinyl in overall cost. The siding panels are significantly heavier than vinyl siding weighing up to 6 times more than vinyl. Fiber Cement is much more durable than wood and required less maintenance but it is not as maintenance free as vinyl siding with the need to paint every 15 years or so but resembles a wood application more accurately than vinyl. Wood Siding is the original siding application and is still a great looking and naturally insulating product. Cedar shakes and Lap siding are the more common applications and if installed correctly and properly maintained can last the entire life of the home. The lap siding gives a more seamless or classic look whereas the shakes give a more rustic appearance. The preparation for the wood siding is the same as Fiber Cement board. The lap siding is generally considered more durable than the shake siding in windy conditions and is considered the more durable of the two. The most common wood used for wood shakes is cedar and the thickness of the cedar shakes also drives the cost and durability of the wood siding. The difference between cedar shakes and shingles is less clear now than it was many years ago. Initially, cedar shingles were sawed from a block, while cedar shakes were split off using a mallet cedar shingles are more precisely milled than shakes, and provide a more refined classic appearance, which is well suited to a wide range of styles. Cedar shake installations provide a more irregular, rustic appearance. They make a less sophisticated, more charming statement that works well for some smaller cottage styles. Most cedar shakes today are made by machines, and are sawn on at least one side. Shakes are sometimes machine grooved to appear more like authentic hand split shakes. Although cedar shakes today are seldom hand split, they still are the same sizes that was used when carpenters used mallets to split off the shakes. Shakes are thicker than shingles. Cedar shingles are cut more accurately than shakes. Cedar shakes are more irregular, and don’t lay as flat when installed. This creates gaps which can be penetrated by windblown rain. The major issue with wood siding is the maintenance requirements of caulking, staining or painting every few years, but the beauty to some homeowners is well worth that cost. Prior to installation of shakes and layer of felt paper or house wrap should be installed as well. If you would like to talk about ideas for remodeling or renovating your home in Fairfax, Mclean, Springfield, Woodbridge, Alexandria, Arlington, and Falls Church VA, reach out to us at Foster Remodeling. Call now for a free consultation! 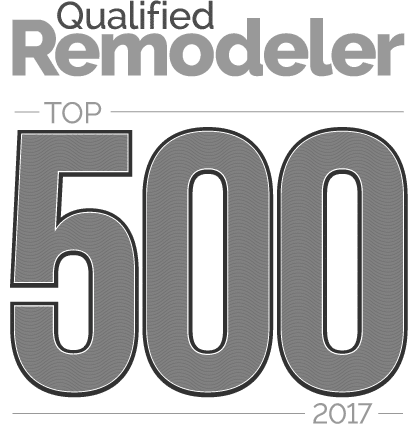 Written by Jeff Weeks, Home Improvement Sales – Foster Remodeling Solutions, Inc.